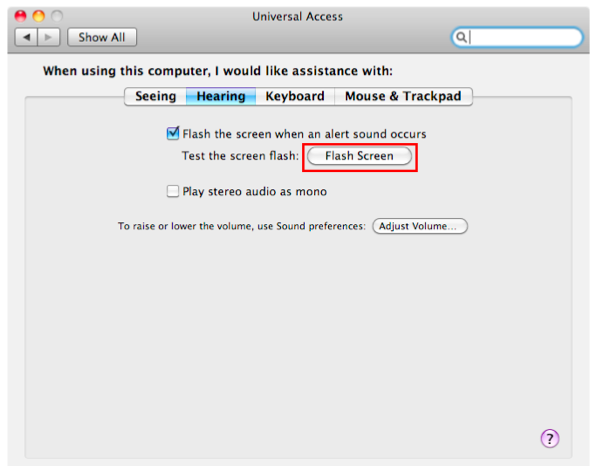 To have the screen also flash when an alert sound occurs, check the box next to “Flash the screen when an alert sound occurs.” Click on the Flash Screen button to test this feature. 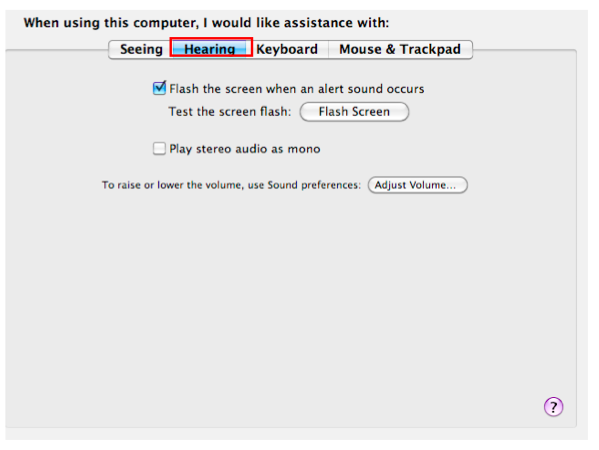 Choose “Play stereo audio as mono” if your hearing is limited in one ear. 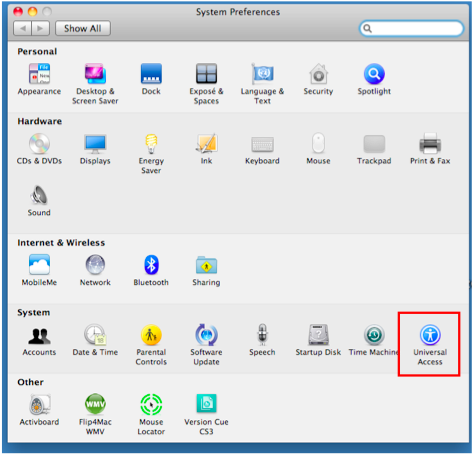 This setting will let your computer play both channels of stereo sound on one side when you use a headset.